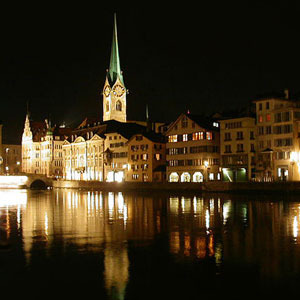 Board your vessel in Basel, Switzerland, then head for Breisach, Germany, located at the foot of the Kaiserstuhl Mountain on the French-German border. Here you’ll find the gateway to Germany’s Black Forest, an area of unrivaled natural beauty, best known for Black Forest ham, cherry cake, and the cuckoo clock. Continue your river cruise to Strasbourg, France, where you’ll be amazed by the red-sandstone gothic cathedral with ancient murals and the fascinating astronomical clock. Also, stroll through the lovely La Petite France district with its quaint shops, delightful bistros, and peaceful waterfront promenade. Visit the ruins of Heidelberg’s castle, towering magnificently over the city, and stop in Mainz for a guided walk and a visit to the captivating Gutenberg Museum. Next up is the charming wine town of Rüdesheim, and a visit to the unique Siegfried’s Mechanical Musical Instrument Museum to see the impressive collection of historical self-playing instruments. 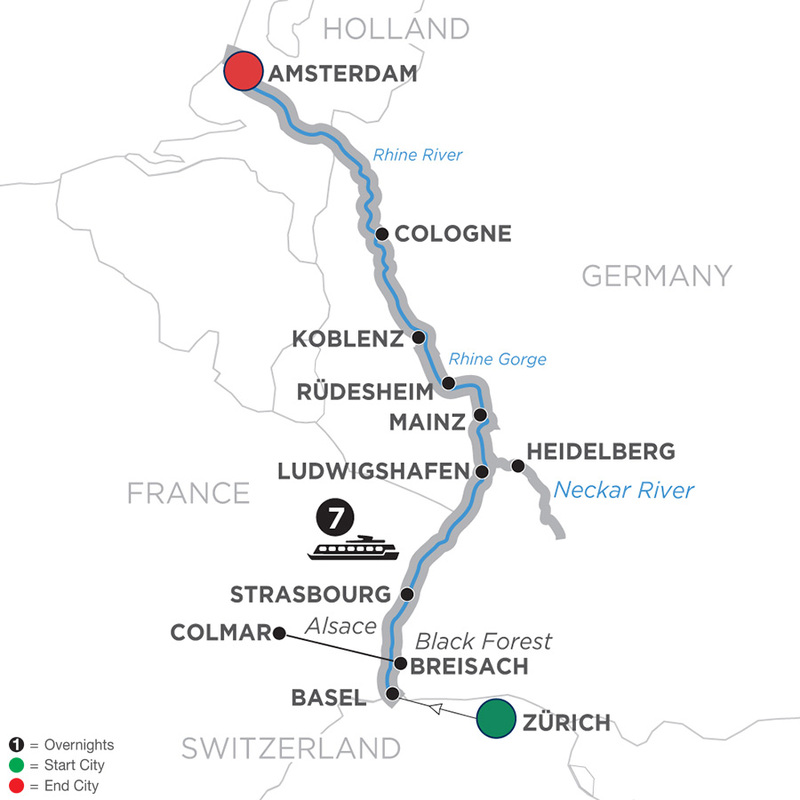 You’ll pass through the dramatic Rhine Gorge-the most beautiful stretch of the Rhine River where ancient castles stand on cliffs 400 feet above the water. Last stop in Germany is Cologne-a 2,000-year-old city known for its gothic architecture and famous twin-spired cathedral. As an exclamation point to this wonderful Rhine river cruise, you’ll spend time in Holland’s popular, modern capital of Amsterdam. There is much to do with the world-famous museums and abundance of restaurants amongst the classic architecture and charming canals. The best way to see the treasures of this 700-year-old city is on a canal cruise along the elegant grachten lined with homes dating back to the city’s "Golden Age."